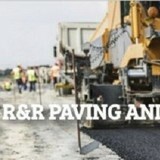 R&R Paving and Sealcoating is among the best paving and sealcoating contractors in the area. We have a closely-knit team that is focused on providing excellent services and treating our customers with the respect they deserve. With R&R Paving and Sealcoating, you can rest assured knowing that you'll receive the highest level of care available.\n\n\nPaving\nOur staff is experienced with every type of paving work. Whether you're looking to have your driveway paved, or you need our services for a bigger project, we are able to meet your needs and provide the best results possible.\n\nQuality paving services require a great deal of attention and care. Our team meet the highest standards in order to provide the best services possible. 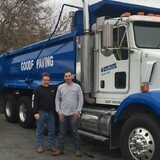 We use the best equipment, and our team is highly trained and experienced.\n\n\nSealcoating\nSealcoating is a service that protects your asphalt services in order to guarantee their longevity and improve their quality. 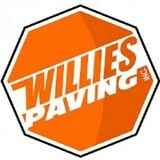 Willie's Paving has been serving Harrisburg, York, and Carlisle PA since 2000. We do residential and commercial asphalt paving. We have a full fleet of vehicles to meet your paving needs. We also do seal coating, stone and grading work, asphalt resurfacing, new construction, roads, parking lots, crack filling, preventative maintenance, saw cutting and crack grouting. Our experienced staff offers reliability and quality that you can trust. Estimates are always no charge. Just Seal It LLC. is a full service asphalt maintenance and pavement marking contractor specializing in Asphalt Sealcoating, Asphalt Repair, Asphalt Crack Sealing, Line Painting, Thermoplastics Markings, Traffic Sign Sales & Installation, Bollards and Car Stops. 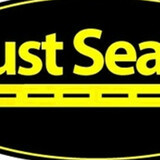 Just Seal It LLC serves the follow areas to name a few: York PA, Lancaster PA, Harrisburg PA, Allentown PA, Camp Hill PA, Carlisle PA, Reading PA, Mechanicsburg PA, Hershey PA, Gettysburg PA, Hanover PA, Philadelphia PA, Shrewsbury PA, Frederick MD, and Baltimore MD to Washington D.C.
We are a local paving company serving all of Lancaster, York and Harrisburg Free estimates Residential & Commercial Paving Sealcoating and stoning etc. Asphalt Consultants is a Consulting Firm specializing in Asphalt Pavements with services designed to help our clients navigate through the confusing and expensive world of Asphalt Pavements. We Consult with business owners, land developers, acquisition teams, maintenance supervisors, property managers, facility managers, HOA’s or any individual and committee responsible for the management, maintenance and safety of their facilities pavements. Address: 282 Chapel Hill Road, Sinking Spring, Pennsylvania, 19608 Strickler Excavation is an experienced paving contractor located in Sinking Spring, PA. Strickler provides professional asphalt, and blacktop paving services for commercial and residential clients in central PA. Strickler is also equipped to handle small and large excavation jobs. In addition to paving and excavating, Strickler has the equipment to handle any size or type of hauling job. During times of severe inclement weather Stickler can provider first class snow removal services. 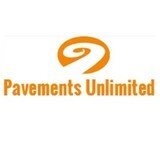 Professional Paving is a family owned and operated business. We aim to please our customers in the best way with quality work and competitive pricing. Let The Professionals Do It. From installation to repair, New Market, PA driveway contractors are responsible for a variety of planning, installation, construction and driveway maintenance services. Driveway materials. While most driveway contractors in New Market, PA primarily work with asphalt, they are also experts on the wide range of available driveway materials. If you are looking for something different than a standard asphalt driveway, your pro can help you select driveway pavers or customize a brick driveway design. A driveway installation and maintenance professional may work closely with a New Market, PA builder, landscape professional or various manufacturers and suppliers. Find a New Market, PA driveway installation and maintenance professional on Houzz. Narrow your search in the Professionals section of the website to New Market, PA driveway installation and maintenance. You may also look through New Market, PA photos to find examples of driveways that you like, then contact the professional or contractor who worked on them.